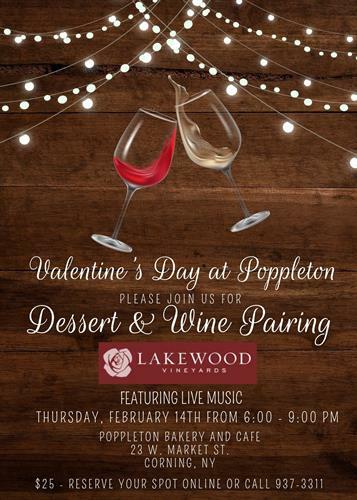 Dessert and wine pairing featuring 5 scratch made desserts paired with Lakewood Vineyards wine. Ticket price also includes a complimentary glass of wine and a sweet favor to take home. Enjoy live music and take a photo in our photo booth.